There are few places which live up to their postcard images, but Prague truly is as pretty in reality as it is in picture. You should aim to visit Prague during April or May when this beautiful city is looking its absolute best with lavender bushes in full bloom. Beautiful views over the city of 1000 spires. Prague’s Astronomical Clock dating back to the 1400s. 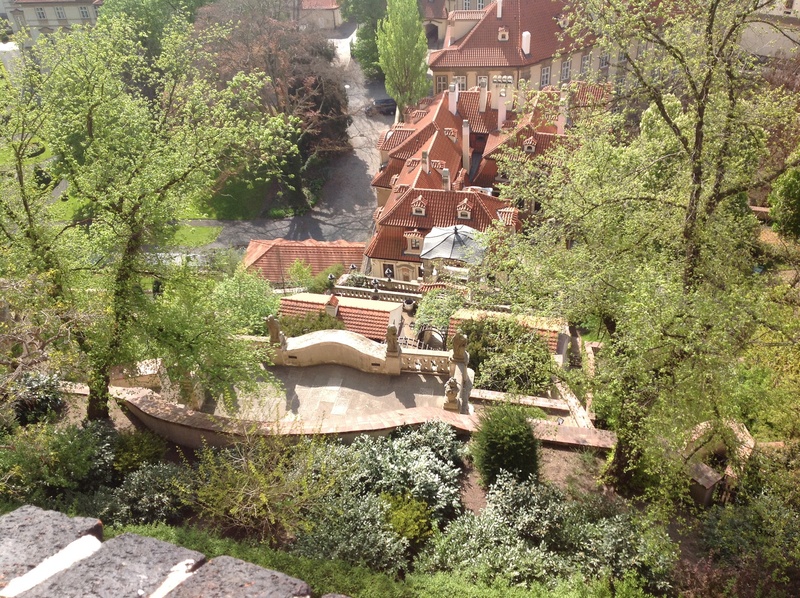 The best way to see Prague is by foot and with a little huffing and puffing up to the vantage points of the Petrin Hill Observatory, the Castle District and the Norbertine Monastery, you will enjoy its fairytale panorama. Overlooking terracotta roofs, church spires and castle domes, with ancient bridges spanning the Vltava River as it wends its way through the city, your camera’s memory card may just go into meltdown. Don’t miss the Prague Castle and St Vitus Cathedral. Thanks to the outrageous amount of gild and opulence, as you walk around the complex it’s easy to imagine yourself back in medieval times. Life would have taken place completely within the palace complex – from church services and formal balls, to walks in the gardens with lashings of gossip and intrigue! 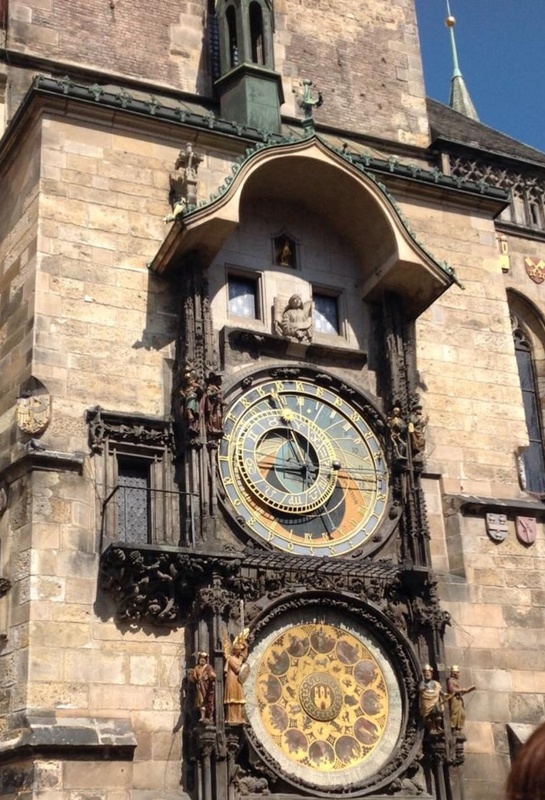 No visit to Prague would be complete without viewing the Astronomical Clock in the Old Town Square. Some say it is one of Europe’s most overrated sights, but I guarantee you will be there, jostling for your spot along with the hundreds of other tourists, to watch its trap doors open to reveal the show which has been running since the 1400s. A visit to a cemetery might not be at the top of your list of highlights, but the Old Jewish Cemetery, as well as the former ghetto of the Jewish Quarter, are among some of the best sites in Prague. With over 100,000 people buried up to 12 deep in such a small area, it is a fascinating insight into the history of the city. If you have the time, put on your glad rags and spend a night at the State Opera. With tickets at varying prices, you won’t have to blow your travel budget and will enjoy an unforgettable evening. Prague is stunningly beautiful by day, but do not miss the opportunity to take a stroll after dark. As the sun is setting and the lights start to twinkle in the windows, head down to the Charles Bridge – it’s where everyone hangs out in the evening. There are so many people walking across the bridge and lingering around the surrounding areas, that it feels like Circular Quay on New Years Eve. One thing to keep in mind, not just when in Prague, but for all of Europe, it’s great to do your sightseeing during the day, but just remember to keep something in reserve. You will not want to miss seeing the cities by night. With castles, churches and bridges illuminated after dark, the stunning city you have seen by day transforms into a magical destination at night. Have you visited Prague? Are there any other highlights you could suggest to add to a tourist To-Do list?